The Borrower Arrietty (借りぐらしのアリエッティ Karigurashi no Arietti) is the 2010 Japanese anime film from Studio Ghibli. It was released in July 2010 in Japan and it will be another year before they translate and release it in English. The film's directed by Hiromasa Yonebayashi, a new director. This art book is typical of Studio Ghibli art-of books, a paperback with a textured dust jacket. It's 256 pages thick but only 208 pages are on the art with the rest being the script. 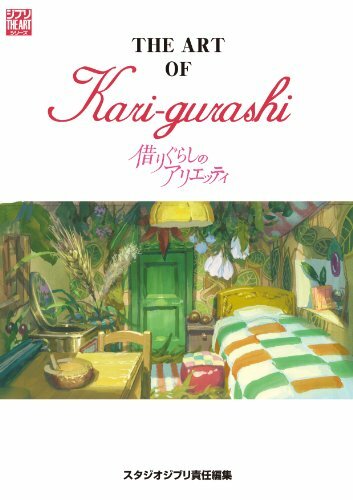 The Art of Karigurashi is another beautiful book that fans of Studio Ghibli will like. I hope that VIZ makes a translated edition of this beautiful book. By the way this one isn't listed on your blog among the other artbooks in the ghibli collection!